Ok… winter has pretty much passed (dare I speak too soon). It’s May and it’s getting warmer out there. I’m now packing away my winter Jumpers. It’ll be a while before we get the urge to make warm things, although I always regret not starting much earlier than autumn. 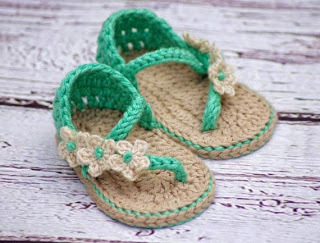 There’s a wealth of cool crochet out there that’s is just perfect for summer. 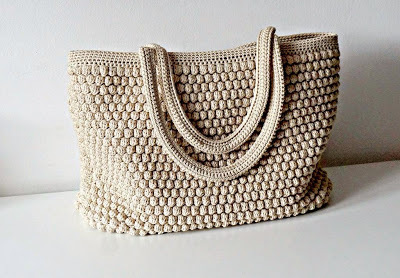 Some great shapes – it ‘s amazing what you can do with a bit of crochet. Here are some ideas that I think are just fab – all with patterns, some free, some not – but still great value. 2. 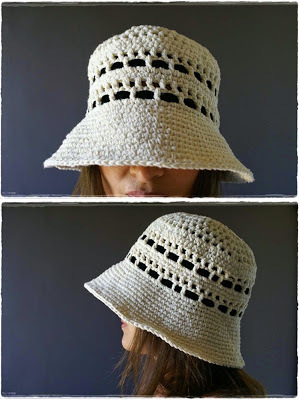 Cover up with this gorgeous little summer cloche from the I Love Pompoms blog. I bet it would look great in raffia. 4. Found this lovely number on Crochet Kingdom. A longer version would make an excellent beech cover-up. Just think of all those bright coloured cottons out there crying out to be made into this. And there’s much, much more out there..
Another new baby in the ‘hood….a boy. Seems that there are lots of boys being born round here at the moment. This time I had hardily any time to whip one up. Wait…. 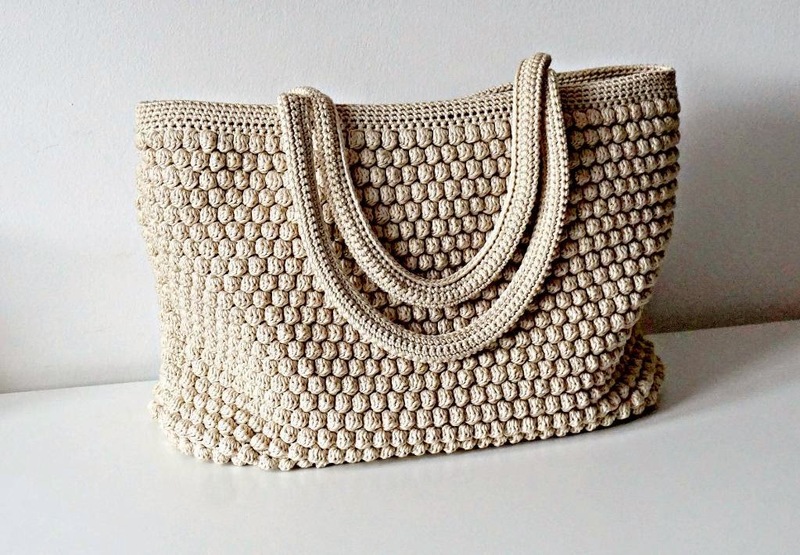 I really shouldn’t say that – handmade items are NEVER ‘just whipped up’. 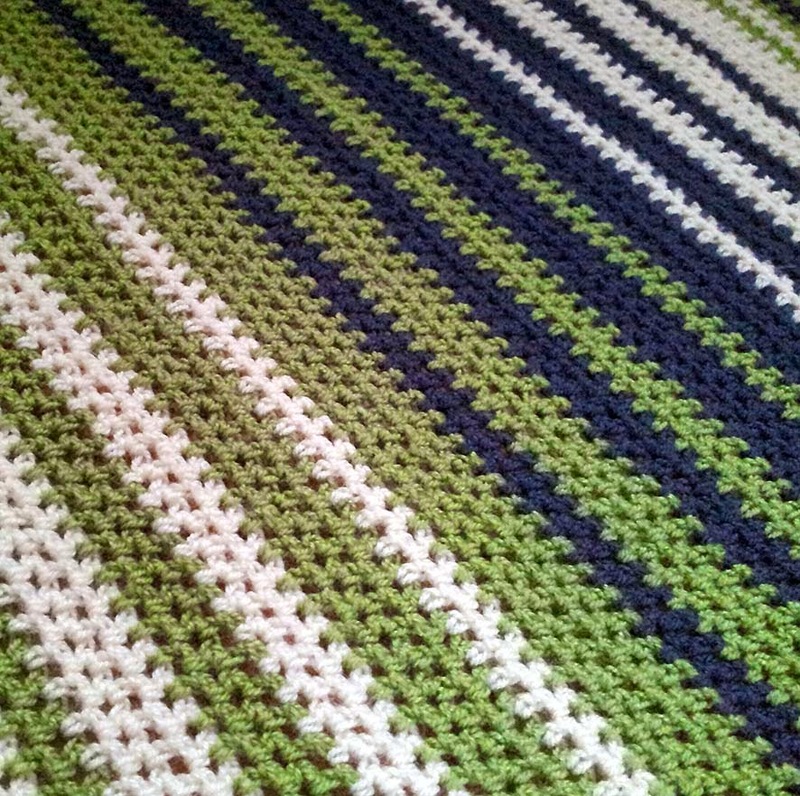 So a nice simple stitch in an easy to do and contemporary graduated stripe. 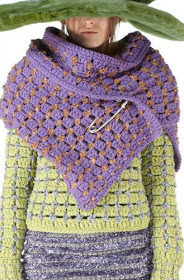 This can be made in any DK yarn. 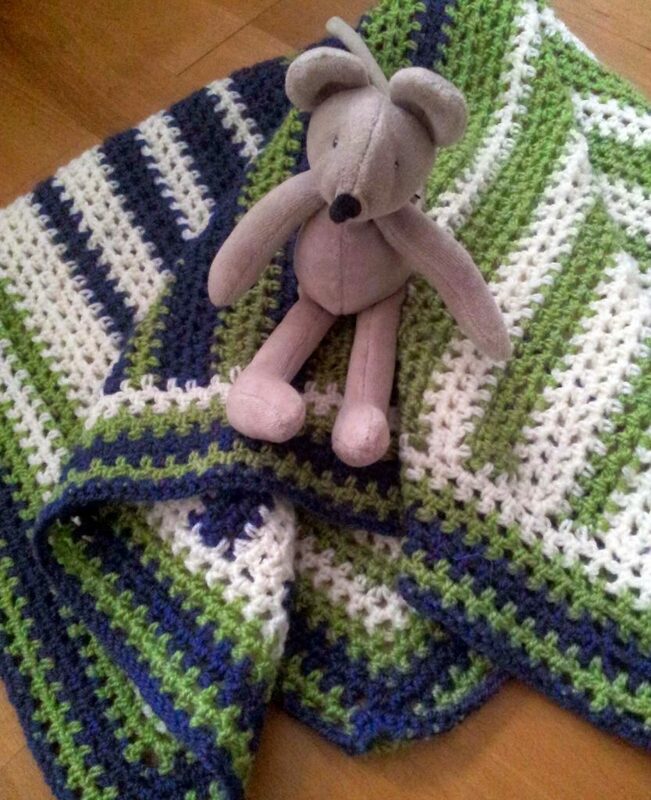 I used Stylecraft Life DK in classic, but not traditional baby colours. It is one of my favourite wool mix yarns and has a real quality soft feel. What’s more it washes and wears well and doesn’t break the bank. Cream, Fern and Blue Haze – Perfect for a boy ….or a girl. This is a great project for beginners. I’ve made an easy to follow pattern with a chart for those more visually inclined, plus a guide to the graduated stripe pattern. A little something for the New Year new arrivals. 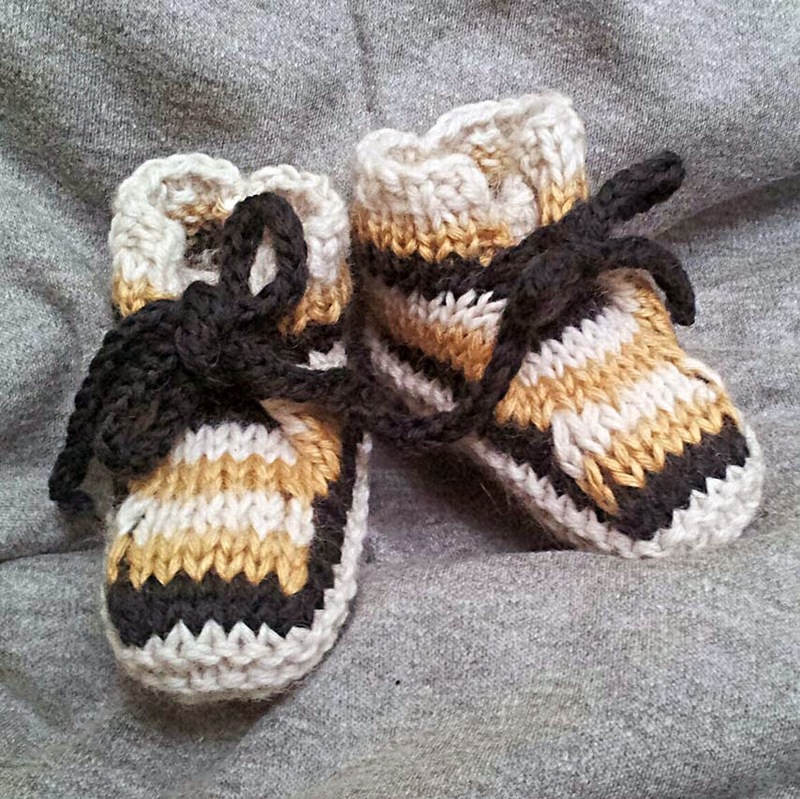 Two new versions of my Little Chukka boot…. in stripe. I’ve been dying to try a stripey version of these. 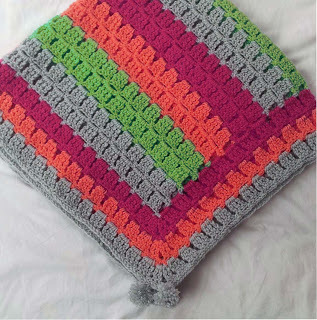 Knitted in two rows of each colour – a nice stripe width, it’s also easy to change colour without floating yarn or finishing off. You may need to juggle the colour variations slightly depending on the size you make. 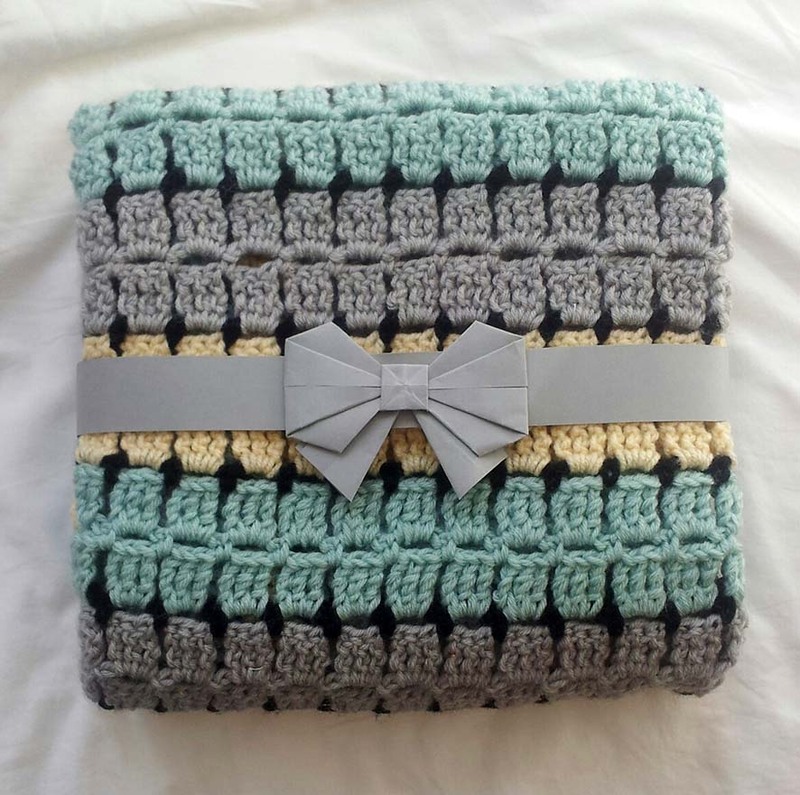 We’ve still got plenty of cold weather to come before the spring, so this makes a great gift. I’m hoping that those of you who have downloaded the pattern of the Buggy Blanket featured in my last post are enjoying making it as much as I did. In fact I enjoyed working with that particular stitch so much, I wanted to do another one straight away. It’s rather addictive, and it just so happened that one of the mums in my neighbourhood was having a baby. Another perfect excuse. 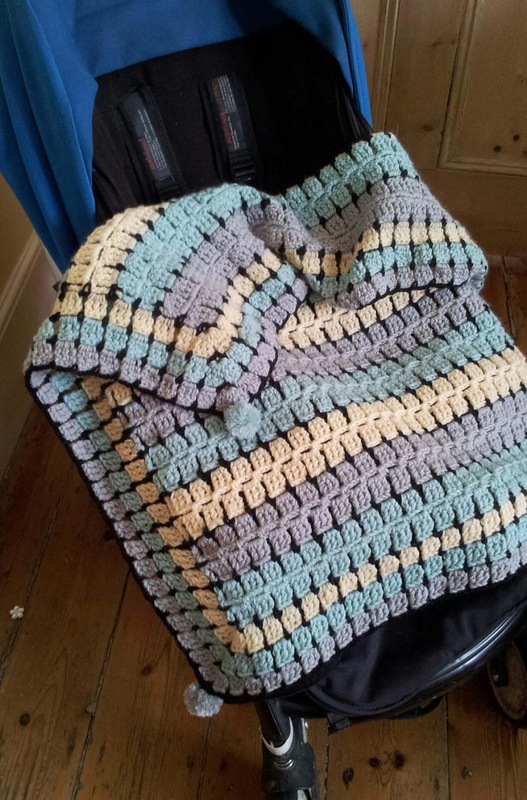 So…..as a follow on from my last post I thought I’d provide you with a new update of my latest buggy blanket to show how versatile the pattern is. I can’t believe how popular it’s been – it seems we’re well and truly ready for the new, Mid-Century-look pastels – I thought as much. Having said that, let’s face it – not everyone likes the softer, paler shades….so how about a different, bolder colourway? I am equally fond of brights and was curious to see how it would look, so I thought I’d experiment with another variation of the pattern in brighter colours. Here I chose some real tropical zingers. I used Stylecraft Special DK in Saffron, Aspen and Silver and King Cole Comfort Baby DK in Sorbet. They are good quality acrylic yarns, which are soft, and which wear and wash well – so important with a newborn. This time I left out the black accent which I thought may have been a little too much in this case. I just continued with the same colour of the stripe. Works just as well. Great summer colours. We’re midway through a heatwave in sunny London at the moment. Right now, blankets are out of the question, but heatwaves here are few and far-between and don’t last for long. 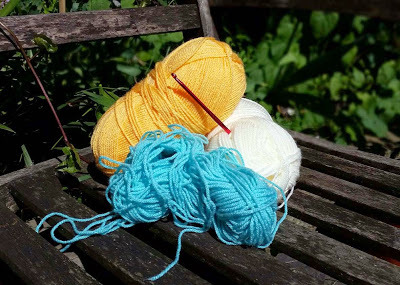 The warmth of the orange yellow and turquoise-blue shades will carry nicely on through to the autumn, and beyond. 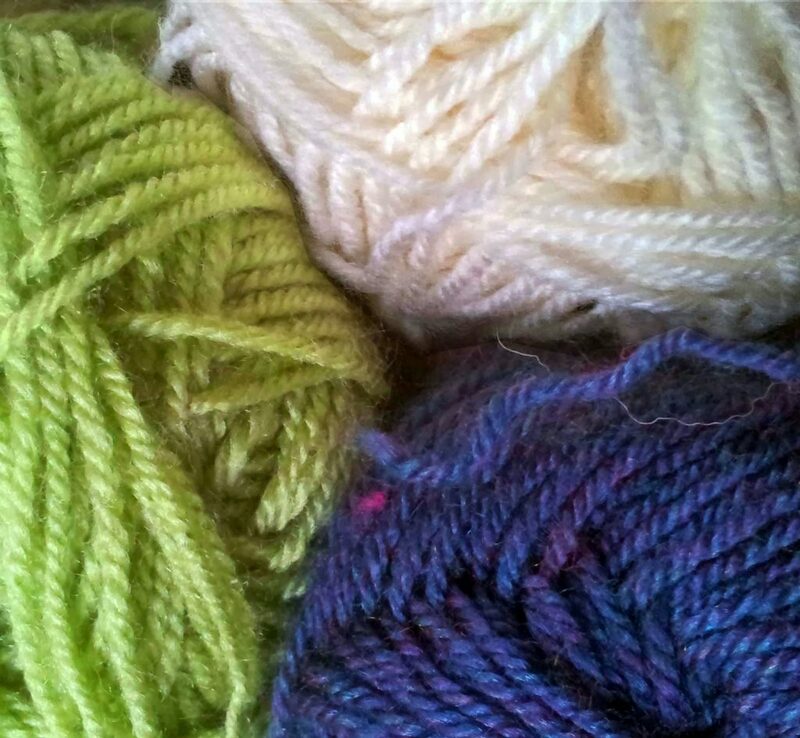 The beauty is that you can use any DK, or if you have a stash of 4ply you can use a double strand. For the more creative among you, the options for different stripe and colour combinations are many. What would you do? – would love to hear your ideas. As mentioned in my previous post, I have donated this pattern to charity. 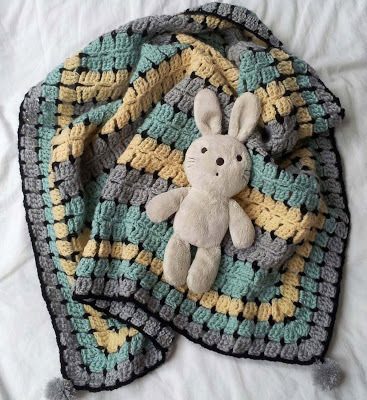 P/hop is a charity knitting/crochet project that raises funds for the emergency aid organisation Medicins Sans Frontieres/Doctors Without Borders. The pattern comes as a downloadable PDF with clear instructions and easy to follow charts for those of you who prefer something more visual. 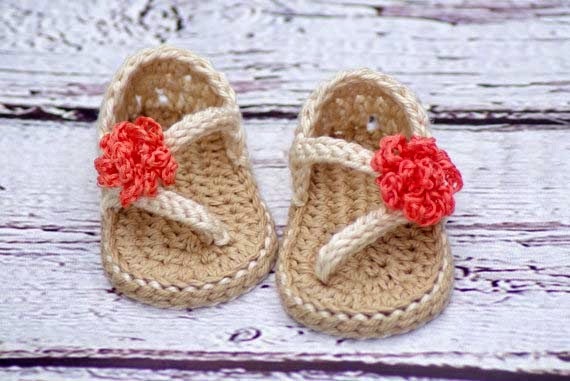 Make special gift to give to a Newborn and, at the same time, turn your enjoyment of crochet into vaccines, midwives and malaria treatments . Get the pattern HERE via P/HOP and adapt. I was recently very excited to hear that a couple of good friends of mine, old college pals, were expecting a baby. 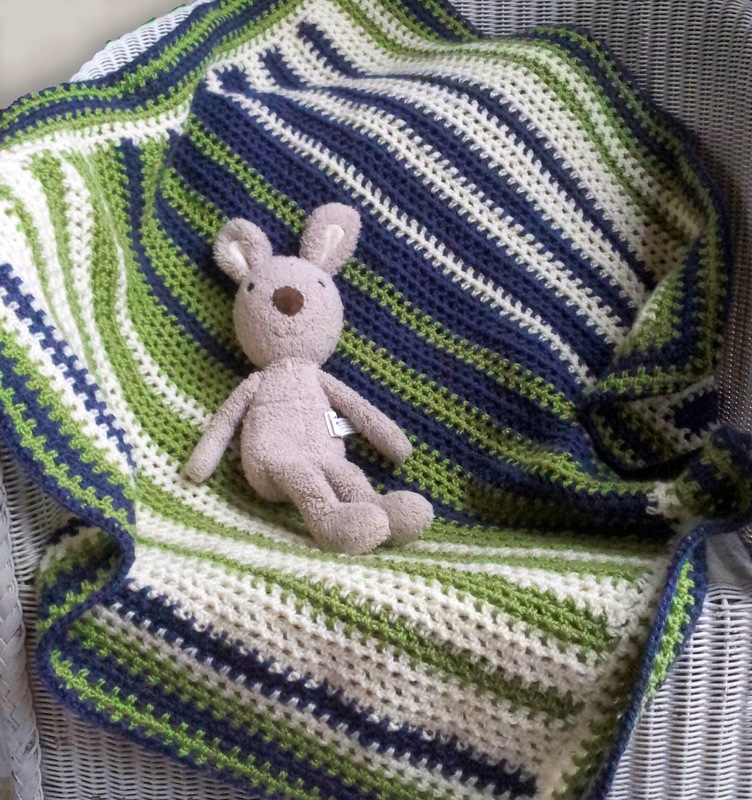 As well as being absolutely thrilled to bits for them, I’d been wanting an excuse to do a baby blanket. These are discerning friends… and certainly no slaves to fashion or fads. This one had to be special. 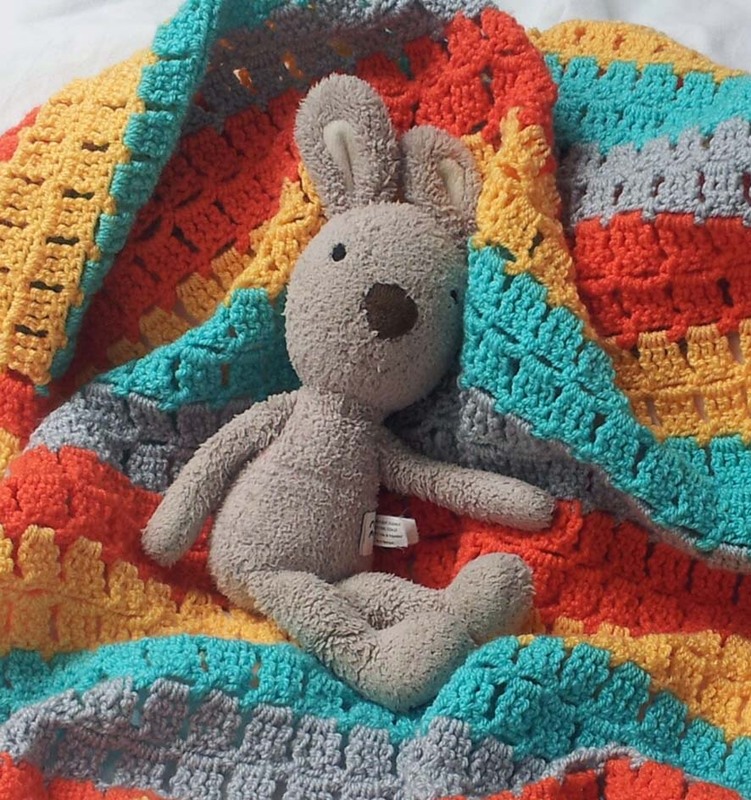 I chose crochet, because, let’s face it, there’s nothing cooler at the moment than wrapping your precious little bundle in something blatantly unique and handmade. I wasn’t sure ‘Homespun’ would be their style so I decided to go for luxury, as in good quality artisan. Most important of all – colour. 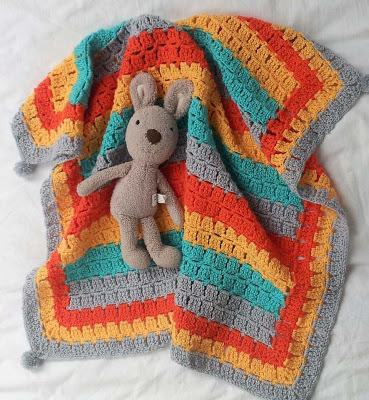 We’ve seen lot’s of lovely things done for babies in ‘brights’ over the last couple of decades, and they are still fab,…. but this time I fancied a change…..
I’m liking the growing resurgence in pastel colours, not the sugary style that instantly springs to mind – this time the more subtle, subdued shades including, grey, stone and all manner of creams. 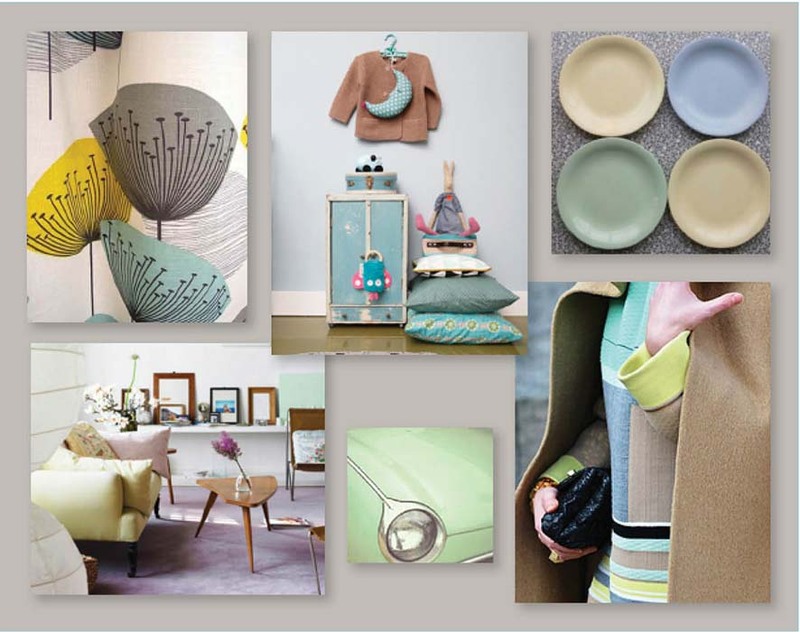 It coincides nicely with the rediscovery of our love of 50s and 60s vintage, and when well combined can look gorgeous. Finding the right colours can be tricky. Yarn companies, have never been known for being at the cutting edge of fashion – although they are slowly catching up, so you have to be canny and mix ‘inter-brand’ with those of a similar weight and composition. For a yarn that’s very washable and quick to dry but which wears well and holds it’s shape nicely, a wool/acrylic mix is ideal. I used Stylecraft Life. Beautiful and soft, good quality, it comes in a nice selection of shades and is pretty reasonably priced. I chose Mint and Silver. The ice-cream yellow I wanted was a little more hard to find so I used Wendy Jubilee in Vanilla, a beautiful soft dk yarn which is the same weight and composition as the other. 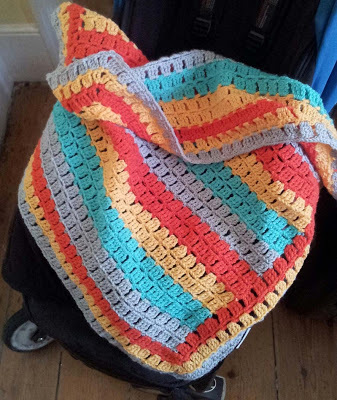 Measuring approx 78cm x 76cm it’s the perfect portable size cover for the buggy, and for carrying around. Its lace-like construction makes it a light cover in the summer months, but thick enough to slip inside the foot-muff for extra warmth when the weather gets colder. I don’t get the chance, very often, these days, to give to charity, but I do try to as often as I can. In these times of austerity our charities are struggling more than ever to raise much needed funds, and so I have decide to donate this pattern to a worthy cause. Desert boots – they’re everywhere at the moment, and don’t we just love ’em! A great design classic and never out of style for those who know how to wear them (big salute to those old Mod friends of mine – you know who you are). Now the tiniest member of your family can be just as cool as mum, dad or older siblings and have their own pair. 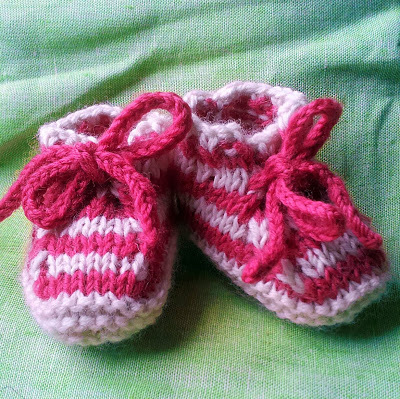 Stretchy and cosy, they tie on and look great on either a boy or a girl. Pictured above in cool cotton demin yarn (also trending big-time for summer this year) with contrasting laces for extra authenticity, or why not try a contrast sole. Can also be knitted, and felted, in wool for when it’s a little colder. 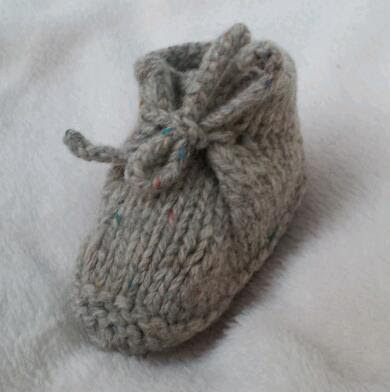 Shown here in a versatile neutral Shetland yarn. 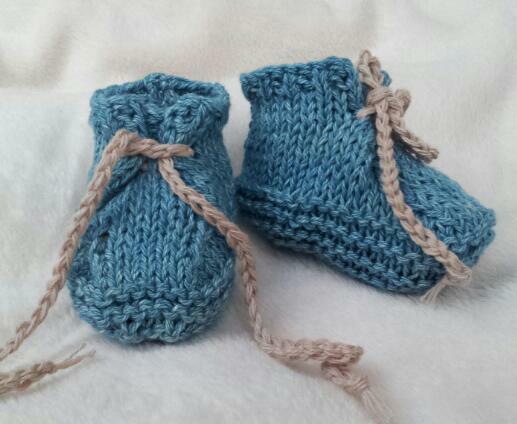 Each boot knits up in one piece, apart from the laces, with a single seam to stitch up. 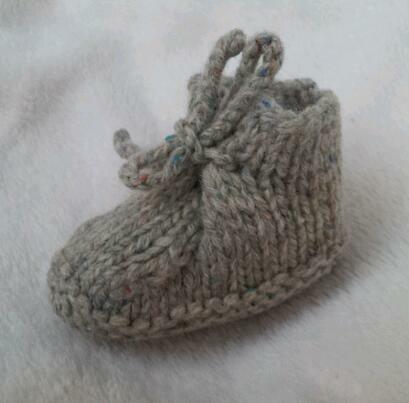 A small amount of shaping to follow but easy and super-quick to knit with a very simple way of fastening. 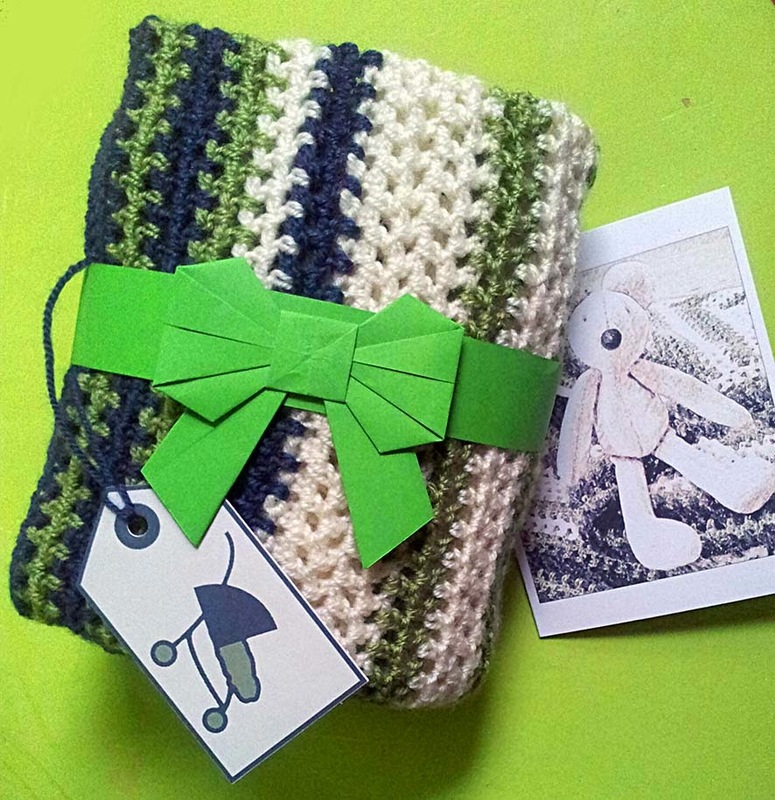 Makes a great little gift to celebrate a the birth of a new baby, and will be appreciated and used…. I looked all over for a pattern like this when my daughter was 3 months old and couldn’t find one – so I made my own. 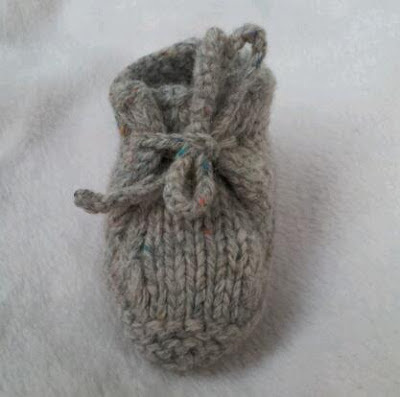 They use only a small amount of yarn and are a good way of using up those little leftover oddments. If you’re feeling adventurous, why not check out my new stripey version. Find the pattern by following the link below.